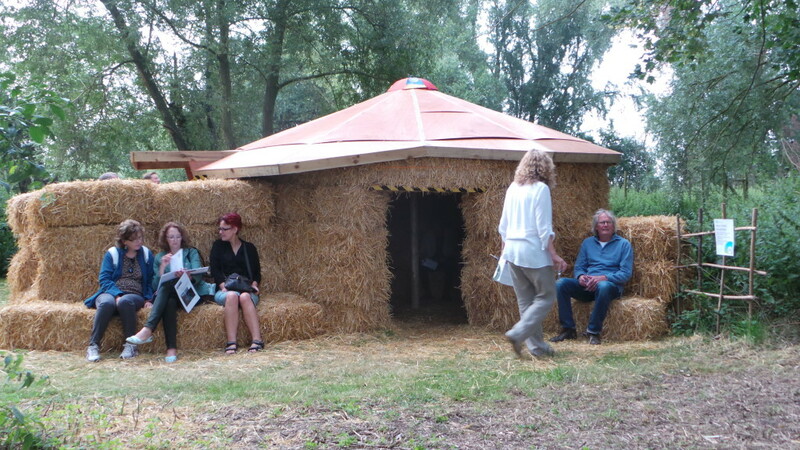 SoundHide is a concept born out of the first Hide that was built as part of the Waveney and Blyth Arts Sculpture Trail in 2015. Sounds from an environment are collected throughout the seasons, different times of day and night and even underwater. These are then played back in a Hide, originally a straw bale hut. The hut was needed on the original site to block out the sounds of the nearby road but if quickly became obvious that people got a lot out of sitting in the den-like structure. The comments book filled up with statements like “should be available on the NHS” and “Took me back to my childhood”. The concept was revisited for the SPILL festival in 2016. This SoundHide was filled with the sounds of the green spaces of Ipswich and nearby river environments. I hope to create a portable SoundHide for Suffolk Wildlife Trust based on their Carlton Marshes reserve. Meanwhile I am looking at ways of using a version of SoundHide in dementia care settings. If you are interested in having a SoundHide of your environment then let me know.